President Park Geun-hye departs on her first visit to the Middle East on May 19, 2014. While in Dubai, her visit will seek to shore up Korea’s ongoing bids for major construction contracts in the oil-rich Arab Gulf monarchies as well as secure stable supplies of oil imports for the foreseeable future. However, in addition to these goals, President Park should also raise topics such as the Iranian nuclear negotiations, humanitarian assistance in Syria, and democratization in Egypt. 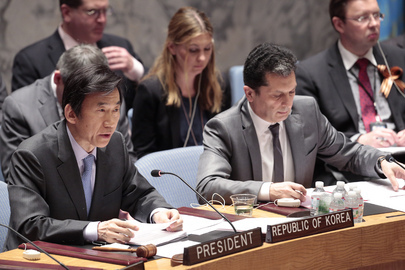 As the Park administration promotes its “middle power” credentials on the international stage via meetings such as the MIKTA Initiative (a meeting of the foreign ministers of Mexico, Indonesia, Korea, Turkey, and Australia, respectively), it is important that Korea upholds key international norms such as nuclear nonproliferation, human rights, and democracy. These are the same norms that the Korean government wants the international community to uphold vis-a-vis North Korea. Their erosion in the name of political expediency only serves to weaken international resolve in dealing with North Korea. This Issue Brief is in Korean.